By Claudio Guarnieri and Joshua Franco from Amnesty International, and Collin Anderson, independent researcher. Rasul Jafarov is a prominent lawyer and human rights defender in Azerbaijan. In mid-October 2016, he received an unexpected phone call. As it turned out, the email address was similar to Rasul’s, but it was not his, and the attachment his friend alluded to contained a virus. Dostlar, xahiş edirəm son siyahımızla tanış olub təsdiq edin. Friends, I would like you to be acquainted with the latest list, please confirm receipt. His caution was warranted. Had his friends clicked on the attachment sent from the email impersonating Rasul, the file would have in fact installed a keylogger that recorded the user’s keystrokes and malware that relayed screenshots of their computers back to the attacker, potentially compromising all of their passwords, contacts and private communications. In order to not raise suspicion, the malware also opened an Office document in Azeri dealing with political prisoners, so the victim would have no reason to think their computer had been infected. Amnesty International, working with others, discovered that this email was part of a sustained spearphishing campaign targeting Azerbaijani activists over thirteen months — one that frequently employed the tactic of impersonating well-known human rights defenders. When he became aware of the attack Rasul immediately feared that the Azerbaijani security services could be behind it. Given his background, this is understandable. 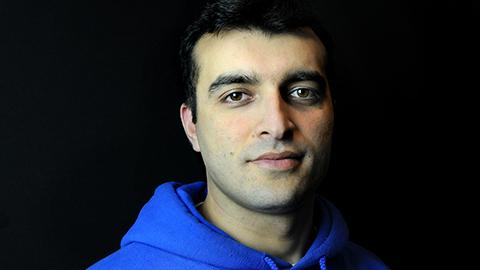 In April 2015, Rasul was sentenced to six and a half years in prison, on politically-motivated charges stemming from his work exposing human rights abuses in Azerbaijan in the run up to the 2012 Eurovision Song Contest in the country. Amnesty International considered him a prisoner of conscience and demanded his immediate and unconditional release. The European Court of Human Rights also found that his detention was in violation of human rights law. He was ultimately pardoned after serving more than a year and a half in prison. Rasul’s experience of being impersonated was not unique. Azerbaijani activists and human rights defenders who spoke to Amnesty International cited other instances in which they had been impersonated, or had their accounts compromised. Leyla Yunus, who is also a former prisoner of conscience, and who was also impersonated as part of the malware campaign, recalled that many times over the years, especially in the run-up to her imprisonment in July 2014, several of her online accounts had been compromised. Sometimes this involved fake Facebook accounts impersonating her and fake email addresses which were similar to hers with minor spelling changes. Her personal Facebook account was also taken over several times over the course of this period, and she felt she had no choice but to delete the account. Elshan Hasanov, a human rights activist working on cases of politically-motivated prosecution, also told Amnesty that his Facebook account was taken over a few times, with friends receiving unwanted messages ostensibly from him. In March 2016, Azerbaijan released eight prisoners of conscience — held behind bars simply for speaking out against the government. However, many more prisoners of conscience still remain behind bars and the ongoing reprisals against human rights defenders makes human rights work virtually impossible. Amnesty International has longstanding concerns about the Azerbaijani authorities’ failure to respect their international obligations to protect the rights to freedom of expression, association and peaceful assembly. Dissenting voices in the country frequently face trumped-up criminal charges, physical assault, harassment, blackmail and other reprisals from the authorities and groups associated with them. Law-enforcement officials regularly use torture and other ill-treatment against detained civil society activists, with impunity. Human rights defenders, independent journalists and opposition political activists in Azerbaijan often face online harassment, such as abusive comments and threats on social media and website comments, and through a government weaponization of trolling. Human rights defenders told Amnesty International that the uncertainty concerning the law and practice governing state surveillance in Azerbaijan creates a climate of fear that undermines their work. “In general in regards to surveillance there is a feeling in society and with the activists that everyone is watched all the time and I can quite comfortably say that our phones are tapped all the time. With regards to other platforms — Facebook, computers — it’s all on the level of rumour, But these types of rumours are enough to put activists under pressure. Imagine that all your personal or work-related or activism-related communication is being monitored; it makes people uncomfortable and scared that there can be consequences. People are trying to be not quite open during their online communication. People prefer to meet face to face because of this atmosphere of fear. It creates some level of paranoia as well. “…we don’t really communicate with anybody, we don’t call to Baku to our close friends, we don’t talk to our relatives. We communicate with three or four human rights defenders like ourselves, who are taking risk with open eyes. Because if they [the authorities] find out that there are people dear to us in Baku, and that we’re continuing our work, in order to shut us up they will arrest them. Of course we will be continuing our work, also if they will arrest all our relatives, friends…. The malware that was observed is not sophisticated, and is in some manner extremely crude. However, combined with social engineering attempts and an unprepared public, these tactics can remain effective against many targets. The email impersonation of Rasul Jafarov around October 2016 exposed a larger operation. Based on the results of Amnesty International’s analysis and the first-hand accounts of Azeri activists, it became clear that this was not an isolated incident. It appears that, starting as early as November 2015, Azerbaijani actors appear to have repeatedly used a custom malware agent in a broad campaign targeting political dissidents and human rights activists in Azerbaijan. In two cases, Amnesty International was able to identify the targets of attacks because screenshots of the attackers contacting the targets via Facebook messenger were later dumped in a public location. Screenshot of the Facebook conversation. In the first of these cases, in January 2016, the target was the administrator of a site named “Anonymous Azerbaijan” and a member of a group active in hacking and defacing websites. The attacker sent him the malware, pretending it was a pirated version of Havij, a popular penetration testing tool. The Facebook groups that he administered, his personal Facebook profile, and Anonymous Azerbaijan’s site, have since disappeared. From Internet Archives snapshots, the Anonymous Azerbaijan forum appears to have been defaced by unknown actors within days of the compromise, and was later suspended by the hosting company. In the second case, occurring a few days after the first compromise, a Facebook profile that claimed to belong to the writer Saday Shekerli approached the Facebook administrator of Kanal 13, an Internet news media service. At the time of the intrusion Saday Shekerli had recently been arrested on charges of tax evasion. Shekerli’s profile claimed to have an article for review for the news agency, and sent the target the malware agent disguised as a Word document. As a result of this compromise, the attackers had access to Kanal 13’s communications for a little over a week, documenting the internal operations of Kanal 13 and the individual’s private life. Kanal 13 journalists subsequently faced prosecution over their reporting. Though there is no suggestion that the malware attack and the later prosecution are related, it is interesting to note that this attack also fits the pattern whereby targets of the malware attacks also face legal problems with the authorities. The Azerbaijan Anonymous and Kanal 13 spearphishing attempts describe a common pattern of intrusions with rudimentary malware. Other samples of the malware agent appear to have posed as updates for Adobe Flash or other consumer software, a common tactic in similar attacks. 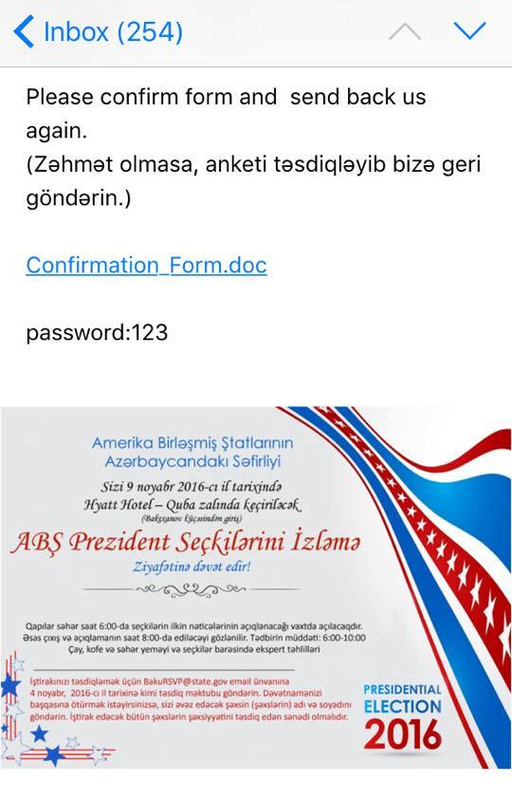 In yet another attack, the malware was distributed pretending to be an invitation for a reception at the US Embassy in Baku. Several activists said they had received this fake invitation. In most cases, as with the one impersonating Rasul Jafarov, the malware would attempt to open an Office document that would appear legitimate. These documents were often ostensibly concerning subjects relevant to the recipients. In one recent sample, the document extracted purports to be a list of “political prisoners in Azerbaijan” as of November 2016. The document metadata claims that the attachment was originally created by “leyla_yunus” — a reference to the Azerbaijani human rights activist Leyla Yunus. Other information about earlier attacks lends further suspicion as to the origin and intent of the campaign. Ramin Hacılı, the President of the Azerbaijani European Movement, an organization that has advocated for closer political and cultural relations with Europe, appears to have been compromised by the same malware. In the middle of his campaign for the parliamentary elections in October 2015, he abruptly left the country. In an interview where he discusses why he left the country, he noted that his computer had been infected by a virus that communicated with the same address as the primary Command & Control server of the malware. The malware reportedly found on his computer is the earliest known version, and was uploaded to VirusTotal in November 2015. In the article, Hacılı also recounts his struggle to take down an old domain under his name that had been re-appropriated to host malware (“raminhacili.info”) in September 2015, a domain which is flagged by Google as malicious. Hacili told Amnesty International that he had left Azerbaijan during the 2015 parliamentary campaign in order to seek technical assistance with his computer from acquaintances in Turkey, and that he returned as soon as he had found and neutralized the malware affecting his computer. He said that since that time, there have been repeated attacks on his website whenever he publishes information about those he believes are behind the hacking attacks against him. He said that he made a formal complaint to the police about one and half years ago, but has not had any update about his complaint in the intervening time. The malware in this campaign, which we dubbed AutoItSpy, is a very simple combination of two programs written with AutoIt. AutoIt is a scripting language designed to allow users the ability to automate tasks on Windows, emulating interactions with graphic interfaces and other basic operations. AutoIt has fostered a user community and provides a comprehensive library offering support for all sorts of basic and advanced operations. Because of its flexibility and the ease of use, AutoIt has also become a popular pick for malware writers, although it is also indicative of very low level of sophistication. AutoIt malware is very commonly detected by Antivirus software, and it is trivial for security researchers to analyze and reconstruct it. The developers of the malware appear to have largely created the agent based on this publicly-available code, with Azeri-language references demonstrating their few unique contributions. Mirroring the lack of sophistication in the development of the malware, AutoItSpy focuses on a small number of features to spy on targeted users. When run by the victim, the malware attempts to open a bundled document that acts as a decoy. In the background, the agent is installed to a persistent location and set to run on startup. From there, it profiles the victim’s system (collecting IP addresses and system settings). The agent then continually records the keystrokes of the user and captures screenshots, most likely in order to obtain credentials for online platforms such as email and social media. The information that is harvested from the victim’s computer is then sent through a server hosted in the network of Delta Telecom in Azerbaijan (85.132.78[.]164). Specifically, the agent emails the logs to a fake domain (local.remote) that presumably the server is preconfigured to accept or forward to a secondary location. For more on AutoItSpy, see the Technical Appendix below. While AutoItSpy appears to have been developed by Azeri-language speakers and uses infrastructure inside Azerbaijan, no observed indicators directly associate it with a particular individual or entity. AutoItSpy does overlap with other sustained campaigns to compromise Azerbaijan-related sites, as documented by VirtualRoad.org and the testimonies Amnesty collected. The IP addresses identified in AutoItSpy campaign and related attacks against websites also overlap with known government infrastructure, however, this is not in itself an indicator of state involvement. A month prior to the first detected sample of AutoItSpy, an individual under the pseudonym “P_a_n_t_e_r_a” and “pantera” entered an IRC chat room related to open source network monitoring software from the same IP address as the primary Command & Control server. On multiple occasions, publicly-available logs describe pantera requesting technical support related to configuring alerts for a system intended to monitor a mail server from a computer isolated from the Internet. This interest further aligns with AutoItSpy’s exfiltration of data through a public mail server. In earlier logs from the same year, pantera is found to have accessed the chat room from an alternative address on the same ISP (85.132.24.74). This address arises in claims of defacement of the site “Avropa.info” in February 2014, as well as the attempts documented by VirtualRoad.org. While the slight difference in time lends to a weaker connection between Pantera and AutoItSpy, the described connection to malicious behavior lends further weight to there being a relationship. The network address block (85.132.78.0/24) used for AutoItSpy’s mail server appears to be mostly populated by the communications infrastructure of natural resource, financial, and banking sector companies in Azerbaijan; this could be commercially leased infrastructure. More intriguingly, the other network address block (85.132.24.0/22) used previously by the pantera actor predominantly hosts government infrastructure, such as the Ministry of Foreign Affairs, Ministry of Justice and state-owned television. While these details do not provide conclusive evidence that would implicate the government of Azerbaijan or any other entity as responsible for the attacks described in this report, they do indicate that those behind the campaign have maintained costly infrastructure to sustain the targeted surveillance campaign for unclear motivations. “We would like to make it clear that we take the issue of cyber security very seriously and condemn all attacks against government and non-governmental information facilities. When the citizens of the Republic of Azerbaijan are subject to such cyber attacks, we expect them to duly notify the relevant authorities to enable them to carry out thorough and detailed investigation into such cases. It is our understanding that the cases detailed in the Amnesty International report have not been brought to the attention of authorities therefore we have not been made aware of these attacks in due course. In this report, we documented a pattern of attacks to compromise critical voices in Azerbaijan that has been sustained since at least November 2015. The targets of these intrusion attempts — as well as the identities impersonated in the campaign — are often people who have been subject to politically-motivated arrest or otherwise targeted previously by the Azerbaijani government. Moreover, in documented cases of compromise, the attackers appear to seek information related to human rights defenders and activists, and do not appear to have directly acted on the information collected, narrowing the likelihood that they were motivated by criminal intent. While peripheral incidents lead to overlaps with government infrastructure, there is no direct technical evidence to attribute the attacks to a government entity. We would like to thank Access Now, whose security helpline brought the initial case to our attention. This section analyses the actions performed by the malware as observed directly from the decompiled AutoIt code. First, the malware copies to a temporary location the bait document that it was distributed with. Secondly, if it is provided with a short procedure that quite aggressively attempts repeatedly to delete everything in the computer’s home folder in case it finds the user is running Wireshark, a popular network monitoring software often utilized by malware researchers. In the next step, the malware copies itself to a predefined location and makes sure it gains persistence over the infected computer in order to survive a restart. In order to not raise suspicion the malware now opens up a decoy document as it was announced in the spearphishing email received by the target. After creating some other configuration files, AutoItSpy then installs at a temporary location the second payload, which is a very simple keylogger that is described later, and marks it as a hidden file. 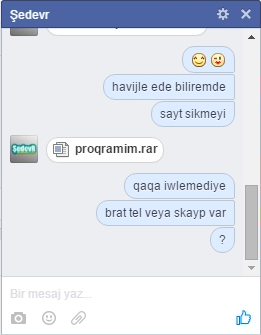 In order to exfiltrate the collected data, the malware sends emails to a server located in Azerbaijan. While the location of the server and the authentication details were visible in the decompiled code of earlier versions, for the more recent ones the authors of the malware added a basic “obfuscation”, just by escaping the single digits and characters to their decimal values. This primary payload of AutoItSpy then enters in an infinite while loop, which repeatedly executes the main procedure. Inside this procedure it firstly makes sure the keylogger is running (and if not, restarts it). Then it collects some basic profile of the infected computer to construct the body of the email that will send to the Command & Control server. Notice the use of Azeri words in the description of the infected computer. At this point in the main procedure the malware starts collecting the logs produced by the keylogger component, and uses them as attachments to the email. Along with the intercepted keystrokes, AutoItSpy at every iteration of the main procedure also takes a snapshot of the desktop and also sends it as attachment to the email sent to the Command & Control server. Finally the malware collects all attachments and sends the email. It is worth noting that AutoItSpy will proceeds with sending the email only after having successfully tested the Internet connection by either fetching ietf.org or iana.org, depending on its version. After the email is sent, all the keystrokes logs and snapshots are deleted. The keylogger component of AutoItSpy normally executes with the process name servicepool.exe. It is also a compiled AutoIt script and, as shown earlier, it is dropped by the primary runtask.exe component. The functioning of servicepool.exe is straightforward. It utilizes the GetAsyncKeyState API from Windows to receive callbacks whenever regular keys on the keyboard are pressed by the victim, and uses instead AutoIt’s HotKeySet function for key combinations with the SHIFT button (for example, to type capital letters or symbols). The keylogger also executes an infinite while loop. At the very beginning it checks whether the primary payload, runtask.exe, is running and if not starts it again. Then it proceeds installing the hotkeys for capital letters and symbols entered with the SHIFT key combination. Also in this case, notice the use of Azeri words to describe the resulting value from the key combination. For example, SHIFT+` would result in the symbol ~ which is the symbol for infinity, in Azeri sonsuzluq. For regular keystrokes and mouse events, the keylogger invokes the _ispressed function which then invokes the GetAsyncKeyState Windows API as mentioned before. In this case it is also worth noting the use of Azeri language to mention left mouse clicks (“SOL KLIK”) and right clicks (“SAG KLIK”). All the intercepted strokes and events are then logged to a text file through the _getcapslock function. Following is a list of hashes of files related to this campaign.